How This ‘Zombie Cat’ Survived Being Buried Alive Will Melt Your Heart. Bart was loved by his owner, 52-year-old Ellis Hutson, so much that when he found him in the road a couple of weeks ago, it broke his heart. Hutson found Bart laying in the middle of the road in a pool of blood after he had been hit by a car. Hudson was so devastated, he could not bear to bury his beloved pet himself. He asked a neighbor to help and watched as the neighbor put Bart to rest. Days later, Bart showed up in the neighbor’s yard after he apparently dug himself out of the ground. “I open the door and my neighbors standing there with the cat in her hand,” Hudson told ABC. “She said, ‘Bart’s not dead’. I said, ‘That’s impossible. We buried Bart'”. 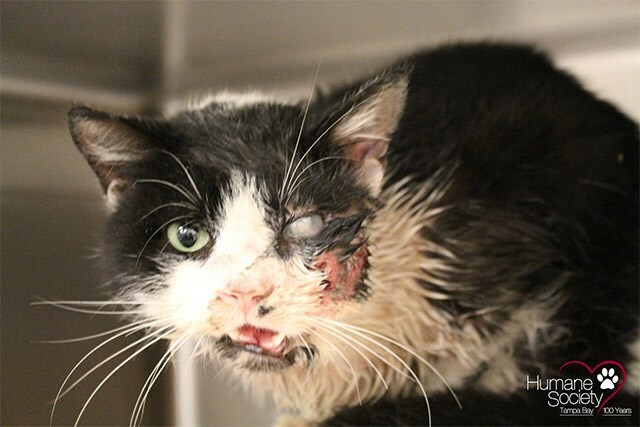 Bart, now known as the ‘Zombie Cat’, was rushed to the hospital and treated for injuries including severe head trauma, broken jaw and a dead eye. Veterinarians at the Humane Society expect Bart to make a full recovery and return home.